Knowing the physical location of employee’s sensitive data is often an overlooked security measure in an organisation’s cloud strategy. Data breaches and sophisticated threats are on the rise which can make your HR, Payroll and Workforce Management data, like TFN’s, bank information and birth dates, a potential target. 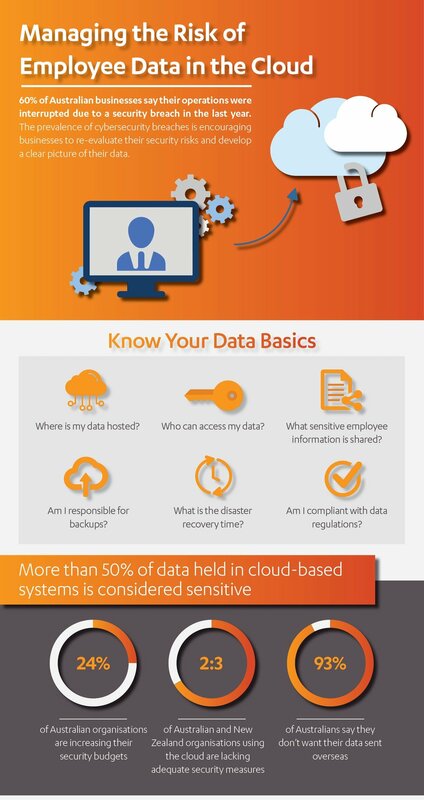 To learn more about managing the risk of employee data in the cloud, click here to download our infographic. Presence of IT’s Premium Cloud hosting located in Australia provides you with a comprehensive turnkey solution for delivering your Kronos applications. With this deployment option Presence of IT hosts your workforce management solutions in a local private cloud, where users can access data easily and securely over the web – at any time, from anywhere – using a mobile device, tablet, laptop and desktop. Thank you for your enquiry - we’ll get back to you shortly. Get to know us better. Follow us on LinkedIn to learn more through our thought leadership pieces.